Weight and cost reduction are key arguments for the substitution of metals in many applications. It is also the case with bipolar plates for fuel cells and redox flow batteries. For this reason, IKV – the Institute of Plastics Processing in Industry and the Skilled Crafts at RWTH Aachen University has joined up with project partners ALLOD Werkstoff GmbH & Co. KG, Calorplast Wärmetechnik GmbH, Eisenhuth GmbH & Co. KG, Kessen Maschinenbau GmbH, the Leibniz Institute for Polymer Research, Dresden, and PROTECH GmbH to develop tailor-made compounds for bipolar plates that are capable of carrying electrical current and heat. In the current second stage of the project, the team is producing demonstrators and testing them for their suitability in this application. Fuel cells and redox flow batteries are an alternative to conventional energy production and energy conversion from fossil resources. Through an electrochemical reaction, they generate clean energy without any off-gases that are harmful to the environment. Apart from their use in efficient energy conversion, the application of these energy storage systems makes sense wherever major importance is attached to the thermal management of processes. The main element of fuel cells and redox flow batteries is the bipolar plate, which separates the reaction media in both systems from one another, but at the same time conducts electric current and heat. 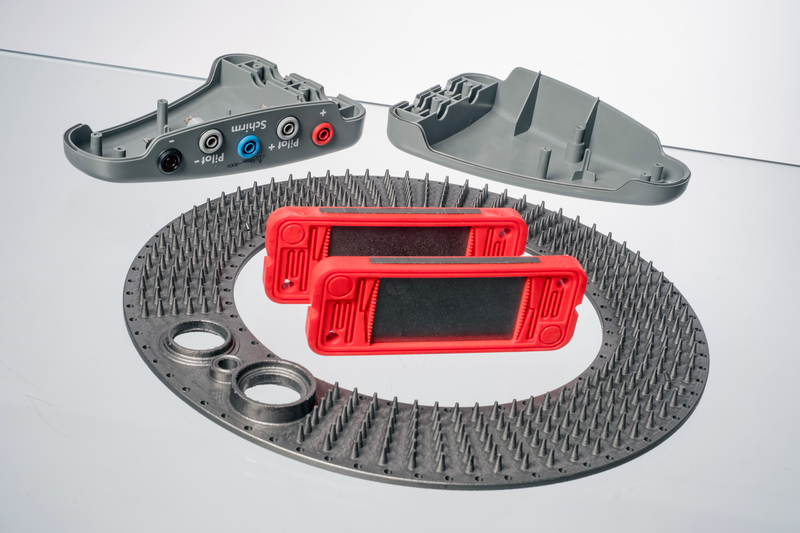 For producing fuel cell systems and redox flow batteries, stacks of bipolar plates are required. They must be connected to one another so that they are gas-proof in order to guarantee high efficiency and process reliability in electricity production. Bipolar plates have until now usually been made from metal. They do, however, have the disadvantages of high weight, high material and production costs and low chemical resistance. The aim of IKV and its research partners is therefore to substitute metal systems by newly developed electrically and thermally conductive plastic-based materials with integrated high-performance functional units. These will be characterised by optimum processability plus good mechanical properties. Apart from bipolar plates, the composites are also used to produce pressure-resistant and fluid-impermeable heat exchanger geometries by a specially configured joining process for application in a cogeneration unit and in plate heat exchangers. As part of this project, the research team is carrying out systematic tests to develop suitable recipes for the conductive composites and the joining technology for the individual plates – always against the background of the mechanical challenges of the innovative composite component. With the help of the demonstrators, the suitability of the composite can be tested with relevance to practical application. The innovative composite structures can be used in technologies to increase energy efficiency, reduce harmful CO2 emissions, and save resources in economically and ecologically relevant applications such as heat exchangers, fuel cells and redox flow batteries. Here, they reduce investment and operating costs, and, at the same time, increase safety, service life and performance.